Peacock Springs - Scuba diving over 28,000 feet of underwater caves! Peacock Springs/Slough is owned by the state. 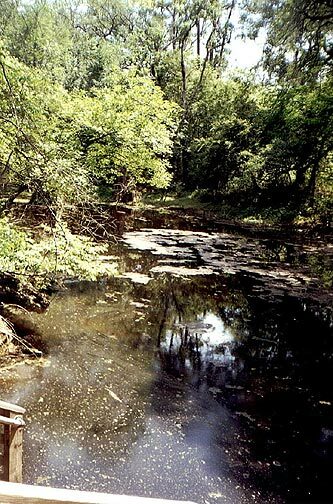 It includes Orange Grove Sink, Peacock springs and some smaller sinks in the same park. 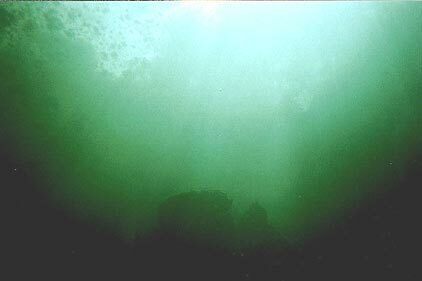 This site is known for its extensive underwater cave system for many cave certified divers. Peacock spring varies in depths from 18 to 60 feet and quickly turns into a cave dive upon entering the area. 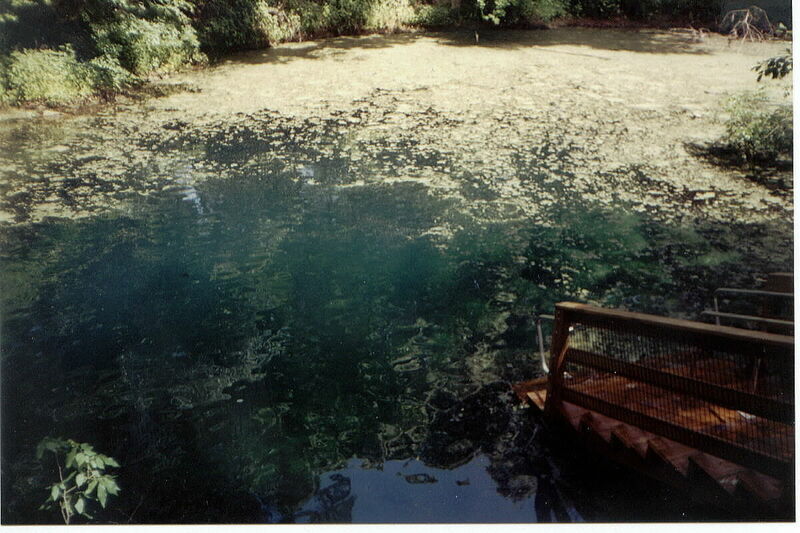 Orange Grove sink is generally covered in Duckweed and algae blooms and visibility can vary. A large cavern starts at about 40 feet and extends down to 110 feet. A cave opening at about 52 feet takes you through 28,000 feet of cave passage way. Any further exploration should be left to the experienced cave diver. Don't take the chance of exploring further, many people have died in this sink system just going "a little bit more." Peacock allows open water divers in Orange Grove sink only w/o dive lights. Check the status before venturing at your local dive shop as rules always change. From Mayo head North on S-51, Cross over the a long bridge over the Suwannee River. 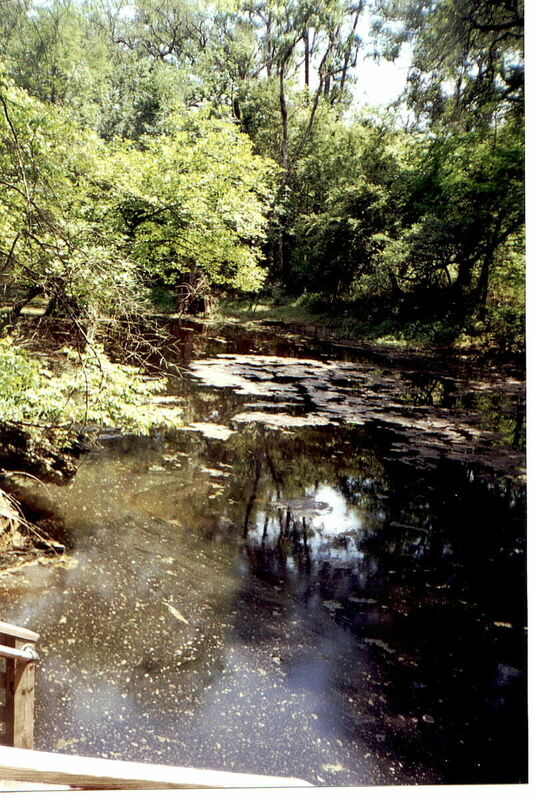 Look for sign on right about 1 mile after bridge. 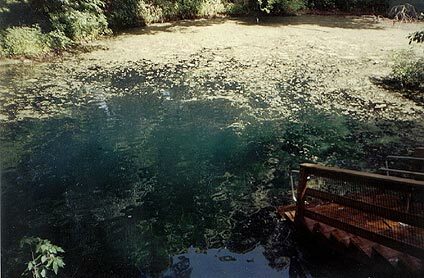 Peacock Springs, Peacock with large amount of Duckweed and algae blooms. Look inviting? Orange Grove, looking up through cavern.